On Friday, 4th September, our Senior Choir & Primary Choir (KidSing) performed at the Hawkesbury Eisteddfod with outstanding results. KidSing were up against 7 other schools, five of which had over 100 students on stage. 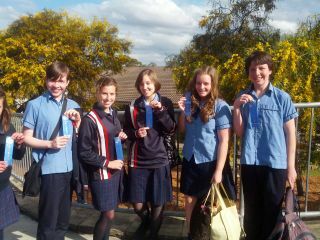 KidSing showed tremendous improvement since their performance at the Penrith Eisteddfod, where they had achieved second placing. The report from the adjudicator complimented all the finer points that KidSing had been working on, so for a small choir they absolutely excelled. KidSing received a Highly Commended, but the results were in the performance not the placing. Our Senior Choir, under the professional direction of Jenni Mills, brought tears to the eyes of those listening. In particular, their presentation of Handel’s Hallelujah Chorus was spectacular, worthy of the Opera House stage. 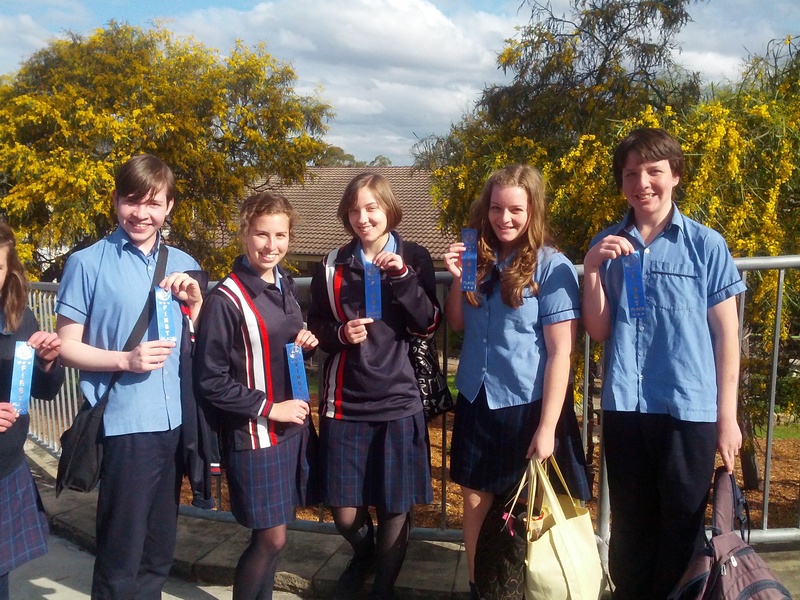 They were honoured with a first placing, which was highly deserved. Congratulations to the Senior Choir on this magnificent effort and the obvious dedication and commitment to rehearsals in the preparation leading up to these eisteddfods. In particular we acknowledge the expertise and generous time commitment that Mrs Mills so generously donates to our school music program. She not only brings out the best in our students, but showcases Wycliffe’s high standards of musical excellence to the local community and general public. Musically, Wycliffe has had a very successful year, not only with eisteddfod results, but more importantly with the individual and personal improvements in standard in all our students who participate in our musical ensembles. To my fellow music colleagues, as a team of music teachers you need to be commended for all the ‘behind the scenes’ work and mentoring you do for Wycliffe students. Music performance results takes years of work just to get them on the stage, let alone excel as our students have. I am, and continue to be blessed and supported by you all. Thank you for all you do.